This layout is created based on a convex composition having clusters of stem plants in the center. Firstly, many Sansui stones are placed in an upright position near the center of the tank to make an enclosure. 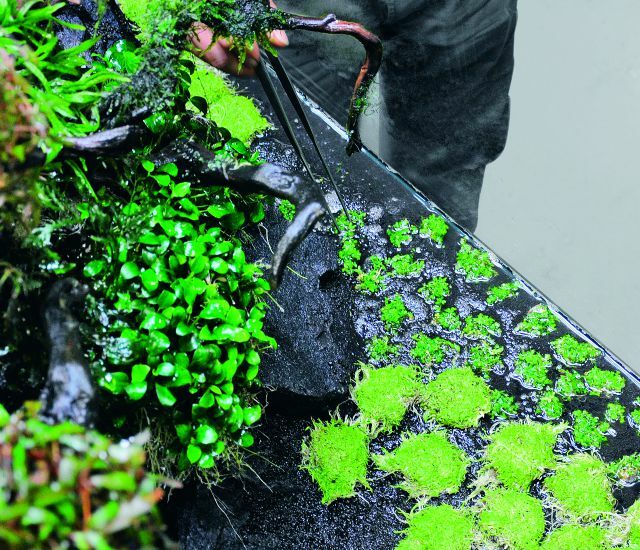 Then, a large amount of ADA Aqua Soil-Amazonia is poured inside the enclosure to make a planting space for stem plants above the level of the rest. The driftwood, with the effect of Hygrophila pinnatifida attached, perfectly blends with the bush of stem plants. Sansui stones are skillfully arranged to make a solid enclosure, so that poured ADA Aqua Soil-Amazonia would not flow out. 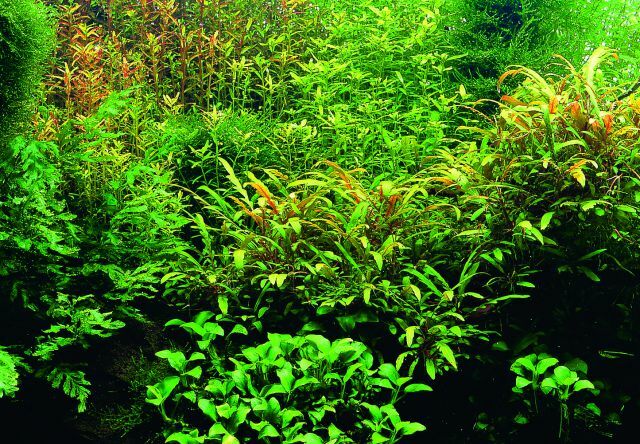 Since the substrate for stem plants is raised high, the bushes of stem plants stand out without being hidden behind the driftwood or epiphytic plants. Glossostigma is planted around the Sansui stones as the main plant. 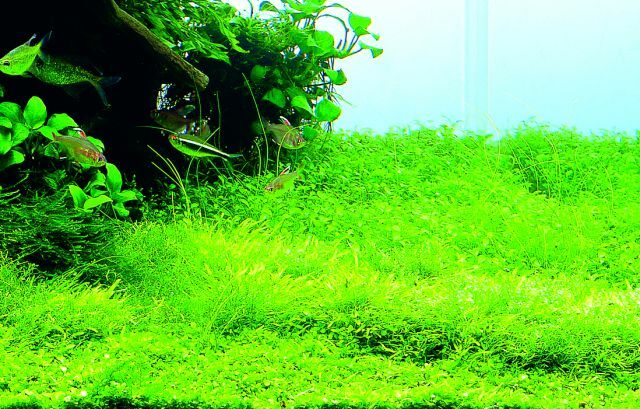 Some Wabi-kusa Utricularia graminifolia is also placed to add a different touch to the carpet plants. 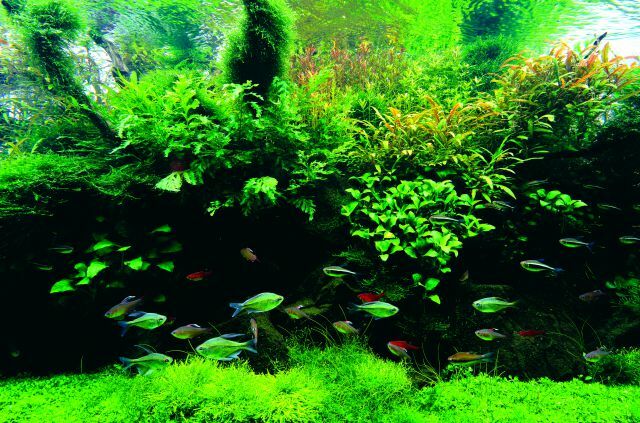 The area below the driftwood creates a shade to the aquascape. The texture of Sansui stones and epiphytic Anubias are producing a natural feel. Utricularia graminifolia creates subtle unevenness in the foreground while some patches of Riccia and Eleochalis acicularis add a natural feel.